In the first report on the SMB Community Survey, I basically reported on the stats and frequencies of the survey results. You can get a copy of all survey results here. - The Cloud: How Ready Are We, Really? Happily, I think these issues are less emotional and more business-oriented that the last bundle of things we talked about. For the most part, you can look at these in terms of your business model and what you think it will look like in the years ahead. Each of these could be a separate blog post, but since they'll all be discussed for some time to come, I'll restrain myself. The timing of this announcement was very, very poor. Many people are of the opinion that they were "misled" in this announcement since the presenters clearly knew that Small Business Server was to be eliminated in a few days. I agree with that assessment. These related announcements should have been made together in a big broadcast, not treated as if they are irrelevant to one another. Many people on the survey resisted this change. In reality, there are two changes: 1) Retirement of the old SBSC, and 2) Introduction of the new competency. I think the old program could have stayed around as a "registered partner" alternative to the Certified Partner competency. 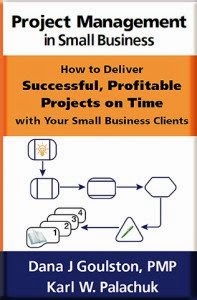 But I completely understand the desire to have one program for small business consultants and avoid the confusion of having two. The biggest questions are: 1) Is it worth the time and trouble? 2) Is it worth the expense? 3) Is it right-sized the really small IT Pros? And 4) Is it too Office 365 focused? To find out, log into the Microsoft Partner site and look at the competency for yourself. If you're not even a registered partner, register for free. As for time and trouble, you need to pass two Microsoft exams and two hokey easy "assessments" (for licensing and business assessment). Or you need to contract with someone who has. In the U.S., one exam must be on Administering Office 365. The other exams can be on Windows Small Business Server 2011 Standard, Deploying Office 365, or Windows 7. In countries where O365 is not available, you just have to pass the two non-O365 exams. Umm . . . what was that SBS exam? Yeah: If you don't want to take the second O365 exam, you can take an exam on the SBS product that has moved to End of Life, or the Windows 7 exam. Of course the Windows 7 will rev to Windows 8 very soon. So: The exams are not burdensome. Nowadays, it's pretty rare to only need two exams for a competency. 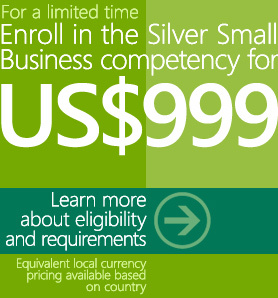 And the Silver Competency for Small Biz is the only one that can be accomplished by a sole proprietor. This is definitely worth the time and trouble. As for price, there's a big sale going on right now: You can buy into the Microsoft Certified Partner program (Microsoft Partner Network) for only $999. A lot of people think that's more expensive than it should be. I disagree. The MSDN and Technet subscriptions alone are worth more than that. One person mentioned here (and others have mentioned in on line discussions) that the $999 USD price tag for the SB Competency is still too expensive. I'm sorry, but if you can't invest $1,000 in your business, you have to wonder whether you're in the right business. I think there's a legitimate discussion to be had around competencies generally, the value of this competency in particular, the Microsoft Partner Network, etc. But this price is pretty small compared to what any of us spends on cable TV in a year. Some question the value of the SBSC certification and therefore the new SB Competency. SBSC didn't make a lot of money for a lot of people. Either they didn't leverage it, or they hoped Microsoft would spend some money making the general business community aware of it. But the SBSC program DID help build the community with regard to Microsoft. It helped partners to feel that Microsoft cares. That's part of the reason there's such a strong reaction to these changes - and the way they were handled. KPEnterprises was a certified partner for ten years. The program has some value. But since we supported SBS and the Microsoft support for SBS was so horrible, we never used our "free" incidents. The primary value to us was the software. The Microsoft branding and logos have very little value today. Clients don't know the difference, especially at the small end of SMB. I am personally tempted to pursue the Small Business Competency simply due to the cost/benefit of the software licenses compared to the Action Pack available to registered partners (currently $429 USD). When it goes to $1,850 . . . probably not. Finally: Is this competency too Office 365 focused? That's a tough one. You would think it would be SBS-centric. But SBS won't exist. So it should be focused on what Microsoft wants to sell into small businesses. That would be Windows Server 2012 Foundation, Windows Server 2012 Essentials, Windows desktop O.S., and Microsoft Office. I'm going to be tackling the learning curve on the "new" Microsoft Office 365 offerings as soon as I can. But IF it's the case that Office 365 is the only Office that will be available from Microsoft, then some focus on it is fine. The only other mix that makes sense would be to choose from one of two O365 exams and choose from one of two operating system exams. In either case, you'll have at least on O365 exam in the mix. So I think the focus is fine. Obviously, it will be revved as products emerge. Are We Ready for The Cloud? Really? LOTS of comments questioned the wisdom of forcing people to the cloud when Internet connectivity is still unreliable in so much of the country and the world. There were also a lot of questions about security concerns and control over data. And many people outside the U.S. simply can't rely on certain cloud services based in other countries. Reliability is an interesting thing. My Internet connection is reliable enough to browse the web, connect to my servers, and do what I need to do. But all of my business-critical services (PSA, phones, RMM, web sites, email) are hosted for one simple reason: They are more reliably available to my clients from the cloud than they are from my office, and at a lower price than a co-location facility. Where does reliability fall down? It's not in the cloud. My services are always "up." Reliability falls down with my personal connection to the Internet - whether by phone, home Internet, office Internet, hotel Internet, or airport Internet. The same is true for my clients. If clients cannot access their data reliably, then it doesn't matter that their servers are 99.999% up. If you can't get to it, your business may still be down! I assume that Microsoft's bet is that their cloud offerings will be totally reliable, leaving them better than the competition and therefore making Internet access the only question. Today, we feel very confident with solution we've come up with (our "Cloud Five Pack" for very small businesses). It consists of local Office products, local storage, remote Exchange service, and either remote storage or remote backup. At least among our clients, local Office products gives them complete productivity while the Internet is down. And once it's backup up, everything synchronizes again. So it works. But the Internet is simply not that reliable in many places. There are many legitimate questions about trusting the "anonymous" cloud, opposition to monthly fees, and resistance in general. Most of that probably has to do with the newness of the technology. Most of it will pass. Having said that, there are some people who will simply never put their stuff in the cloud. We have one of these folks: An intellectual property attorney with very high-end clients. Those people will pay more for technology going forward. Period. The more important question is: Is this the right solution for the client? Which might be better expressed as: Is this the right solution for the client today? As one respondent put it, "[A] couple years ago[,] outsourcing was the way to go, now it is getting more to a nice mixture of local and outsourced. We need that same balance with cloud." Some people argue that their customers aren't asking for the cloud. I'm sorry, but this is silly. I asked a consultant last year whether he was selling SBS 2008 yet and he said no: His clients weren't asking for it. It's not the client's job to know what to ask for. Clients didn't ask for servers. You talked them into servers. They didn't ask for Windows to replace DOS. They didn't ask for SQL, SBS, SharePoint, laptop computers, iPads, or the Internet! Is this the right solution for the client today? Some folks are already having great luck with cloud services. Some are already customizing for their vertical markets. As one respondent said, people say they don't want cloud services in the light of this conversation. But they all have their personal email at Gmail and rely on the cloud for many things. We are having great luck with the cloud. But we have ridiculously faster Internet that's reasonably reliable. We also have local Microsoft Office products, so we can work when the Internet is down. Many comments addressed concerns or reflected the confusion over features based on the announcements from Microsoft. In particular, there is confusion around the licensing limits of Server 2012 Essentials. How do we move from 25 to 75 and beyond? How do we transition to "regular" Server 2012 and retain SBS features and licensing? To be honest, those technical discussions that will be well worked out by the time you have to address them. The more important discussion is around how much that will cost. From early discussions on line, it appears the cost could be easily 50% more than clients are paying today. One of my early responses to all this was the certain belief that Microsoft will provide a right-priced alternative to stand-alone servers. So far, I appear to be wrong. But the products and offerings have not been released yet. As I mentioned in Part 2 of this series, Microsoft may have unwittingly created a new level of uncertainty that will simply stall decision-making for some time to come. If prices are too high, clients will simply find alternatives or stop spending. They have the ability to do this.
. . . And we're back to Fear, Uncertainty, and Doubt. That always means clients will turn to their trusted advisers. If you've been working your way into that position for the last several years, then you'll do well in the confusing year ahead. - "Looking forward to moving forward." - ". . . we'll simply improvise, adapt and overcome as always." "Here is some very exciting news for our partners out there looking to attain the Small Business Competency in the Microsoft Partner Network. 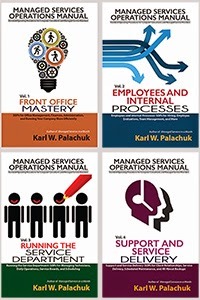 For those of you that have participated in any of the online meetings we have been conducting about the Small Business Competency or who attended Worldwide Partner Conference in Toronto with us, you heard us say that we have heard the feedback from partners regarding the 70-323 required Office 365 exam that is currently required for the Small Business Competency. We heard your input about the 70-323 Exam being too focused on Enterprise scenarios of Office 365 that you as Small Business partners often do not encounter. Because of this, we are releasing a new 74-324 Exam: Administering Office 365 for Small Business, which will be based on a training course specifically designed to meet the needs of partners administering O365 for small business customers." You mentioned the value of the software that you get with the Silver Competency, specifically MSDN and Technet, as compared to the Action Pack subscription. I think you may have overlooked the fact that you can run your business on the Action Pack software but you cannot do that with the Technet software (unless there has been a change to the rules that I have not seen). Perhaps you could address that point because as an SBSC you could be a part of that programan AND be an Action Pack subscriber. My recollection is that you CANNOT subscribe to the Action Pack if you have a Silver Competency or higher. True on all accounts, Bob. BUT you get all the bits to try whatever you need in MSDN. Plus you get lots of internal-use licenses with a Silver competency: Between 1 and 15 copies of each of the following (and 15-100 user licenses for most). See the link above about the competency and download the pdf on benefits.